This entry was posted in Gardening Tips, Organic Gardening, Tools for the Organic Gardener and tagged growing fruit, growing organic blueberries, how to grow blueberries, how to grow fruit, organic blueberries. Bookmark the permalink. When I started planning my orchard blueberries were brought up, after some investigation I found that they are virtually impossible in my zone/climate. There are a few diehards that grow them here but the heat and alkaline soil make it a real pain in the ankle! I’ve had that same pain in the “ankle” on occasion but I am so glad it was not with blueberries. What fruit can you grow? I’ll bet figs would thrive in your environment…and what about the jujube? If you leave the fruit on the bush for a bit, it picks and tastes like a date! I’ve been thinking about adding blueberries to our landscape and after reading your blog I’m going to go for it!! Do you have a favorite variety? 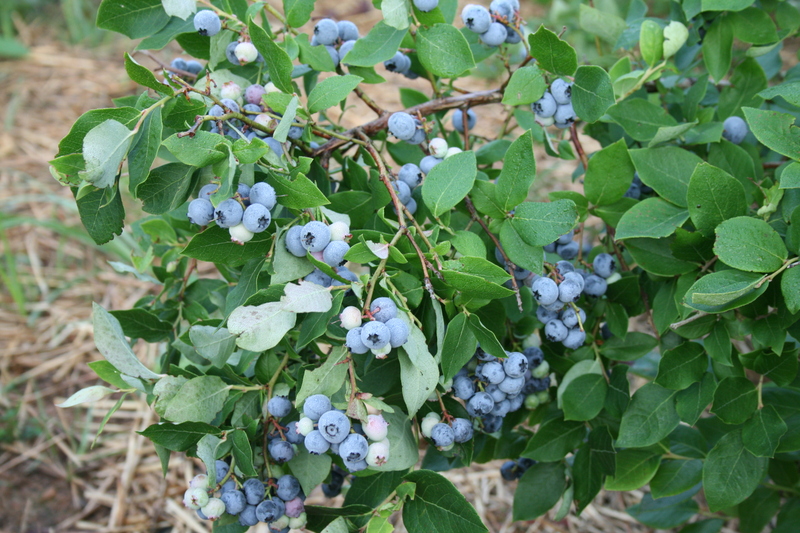 I love all the blueberry varieties I planted but can’t really recommend for your location as blueberries are fickle is planted in places that are too hot or too cold for their unique growing seasons. A good nursery operator could help or gardeners local to your area. And even catalogs like the ones I get from Miller’s have lots of info in them. I would hate to steer your wrong. And I hope you get as much fun and food from yours as I do from mine!